The Bang Group exists at the intersection of percussive and contemporary dance forms and is recognized for its adventurous and witty work. 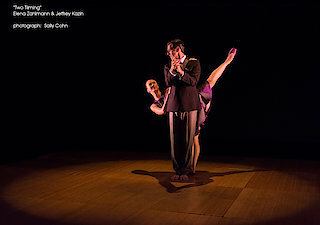 In Settling Scores, the dancers "play" experimental musical scores using body percussion, bare feet, tap shoes, pointe shoes and vocalization, which creates a richly evocative musical world. The company breaks apart musical compositions and regenerates them as aural choreographic systems for dancers.